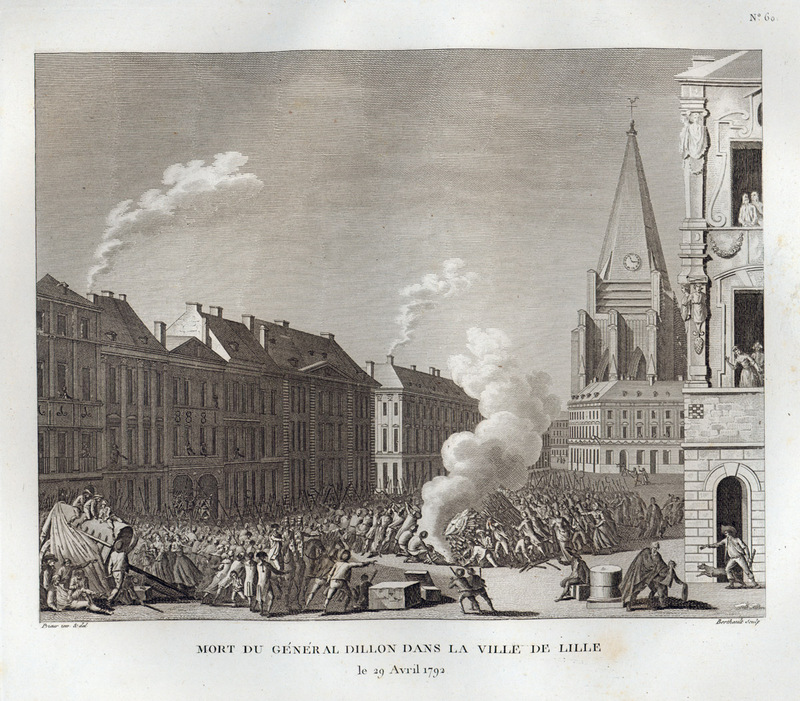 The siege of September 1792 was one of the many battles fought during the French Revolutionary Wars and considered a major event in the city's history by its inhabitants, despite its relatively low military significance on a wider scale. A few months earlier, in April 1792, French forces in the same area did not conduct themselves well - fleeing after a skirmish with Austrian forces and afterwards killing their own commander, Théobald Dillon. This might have made the Austrians expect an easy victory, which as it turned out was not the case. Hyacinthe Jadin composed his Marche du siège de Lille in 1792, in the direct aftermath of the siege. For many years there was, however, no physical monument in the city itself. Some fifty years later, the local authorities became aware that nothing had been made to commemorate the 50th birthday of this event. They decided on the building of a memorial, just in time to lay the first stone in September 1842, but it was not before 1845 that the memorial was finished. The memorial consists of a column topped by a statue. The column was designed by the architect Charles Benvignat, while the statue was sculpted by Théophile Bra as an allegory of the besieged city wearing a mural crown. It was nicknamed the Goddess by the inhabitants of Lille soon after the erection of the memorial, as some local poems suggest. Wikimedia Commons has media related to Colonne de la Déesse.